Posted by Nick Prescott on 9 December, 2016. We thought it helpful to share with you some practical experience and advice on home design. Below we present an overview of what we do, then offer guidance on how you can do this for yourself. 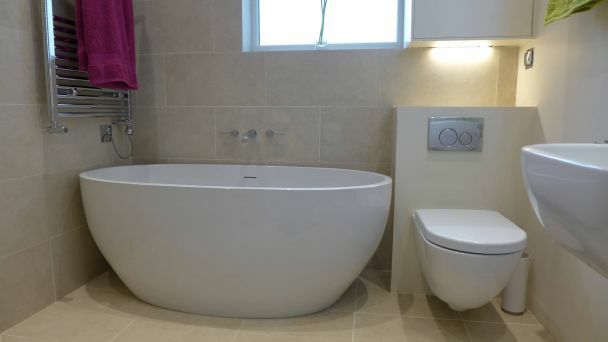 We provide a specialist home design service for clients in Bath and Bristol. We design and manage whole projects from concept to completion. 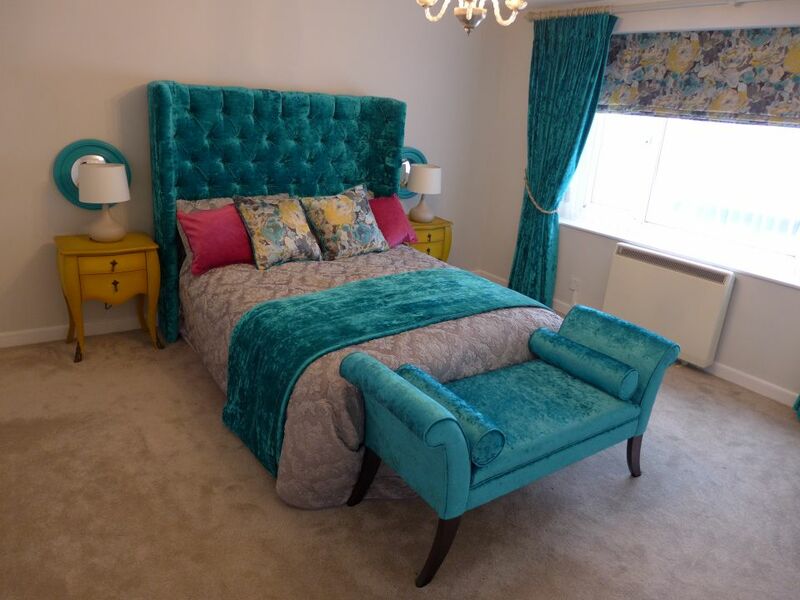 Whether a single room designed and furnished, or an extension, we do everything. If you’d like to discuss your project with us, please get in touch by phone or email, details of which can be found on our contacts page. For a more extensive home design, people instinctively turn to an architect of some sort. In our experience, an architect will design a space for you, using a notional kitchen or bathroom and general furniture; but this won’t necessarily be to the required level of detail. Is the hob actually in the right place? Is the sink the right size? How do you want to move around the space? What views of the garden do you want? Where will the TV go? and so on… If you do appoint an architect, make sure they address all these issues for you. As home designers, we design absolutely everything in full detail based on your brief: the actual kitchen; the bathroom; the electrical layout; flooring; finishes; everything. We manage planning, building control, and Party Wall matters too; then we help to select contractors and suppliers and oversee the work. 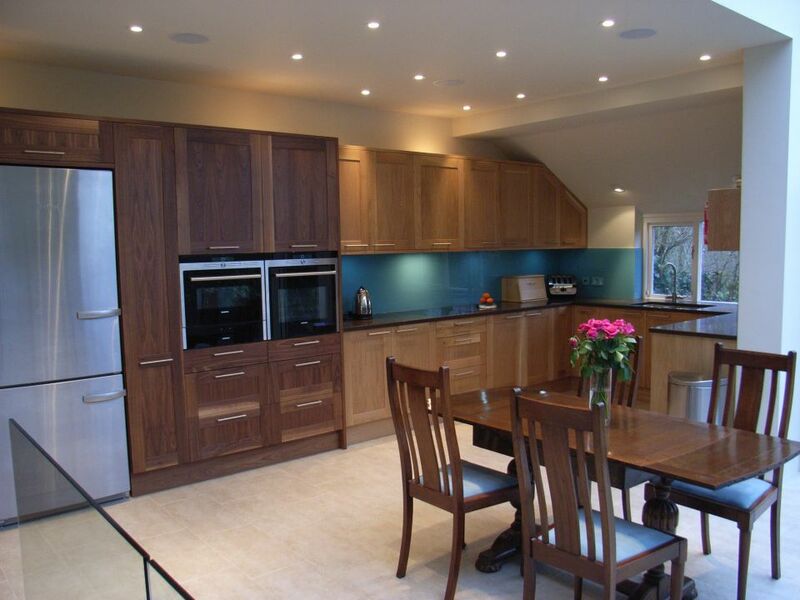 You can read more here about our interior design services. For those looking to carry out a home design for themselves, we’ve produced a series of guides. For a successful home design you need to set aside sufficient time to define your needs and plan the space. That means everything from producing floorplans, to overlaying an electrical and lighting layout, to choosing the furnishings, fittings and finishes. You also need a realistic budget. Here are several of our guidance documents to help you. How to Renovate A Property covers: specifying your requirement, choosing professionals, creating the design, obtaining statutory approvals, producing technical documentation and contracts, choosing a contractor and overseeing the work. Property Renovation is an article on selecting and working with contractors and trades. 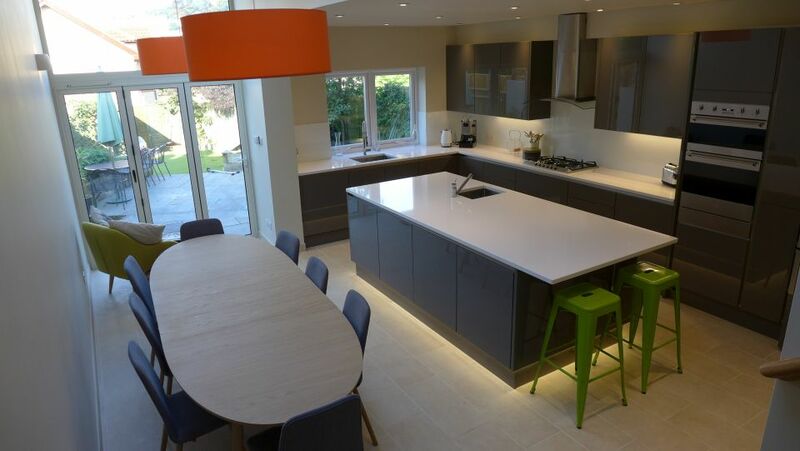 Home Renovation is a case study exploring one of our renovation projects from start to finish that takes you through all the steps. Property Renovation Costs is a list of costs from selected projects that indicate the budget required for major renovations. These links guide you towards a successful house renovation. The following sections present the case for using 3D visuals to help you make the right choices for your home design. To really understand how your new design will look, feel and work for you, you will find a 3D representation invaluable. You may be able to find a free or cheap package online. Alternatively, send your 2D drawings or sketches to us. We can produce images quickly and cheaply. Here you can learn more about our separate service producing 3D home visuals. … or the 3D visual of the same floor? This is a slice through the futuristic looking property above. The model shows the new home floor by floor, room by room, internal and external. 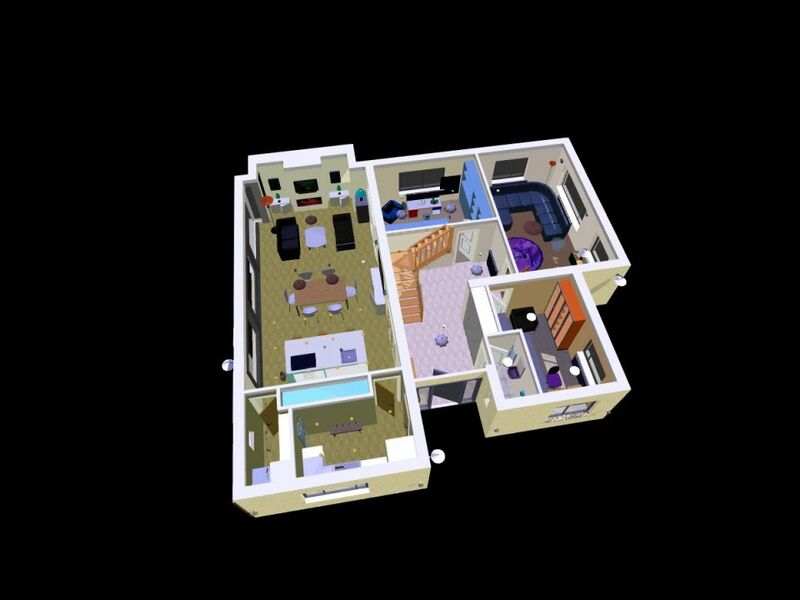 The 3D view clearly shows the design features as you would see them – the windows, the doors, the balconies, the furniture. You get a clearer perspective of heights around the space which are not readily apparent from a flat 2D plan. 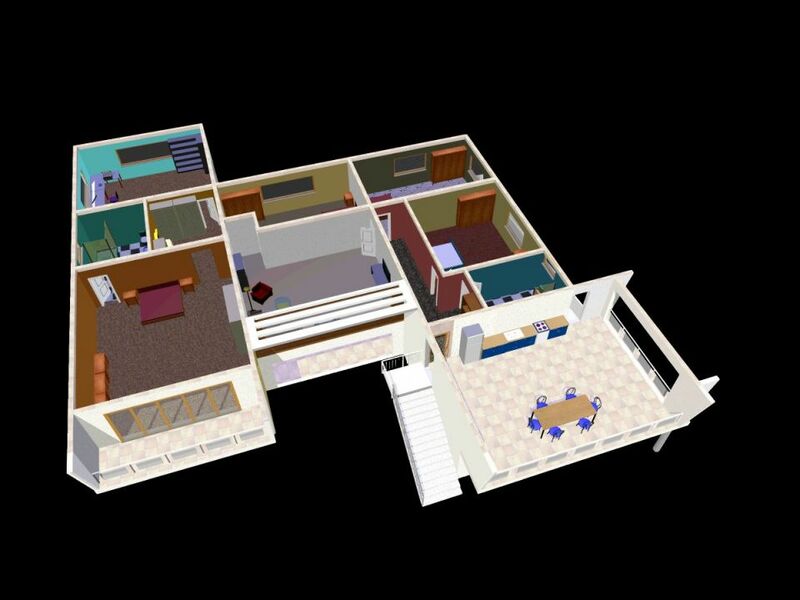 Using our model, we can zoom, rotate, walk through, section the floors and walls and make changes easily. Importantly, a 3D perspective view gives you a better feel for the space. It helps you gain an impression of how you might live there. Indeed, faced with just the 2D plan above, you may struggle to visualise the building at all. 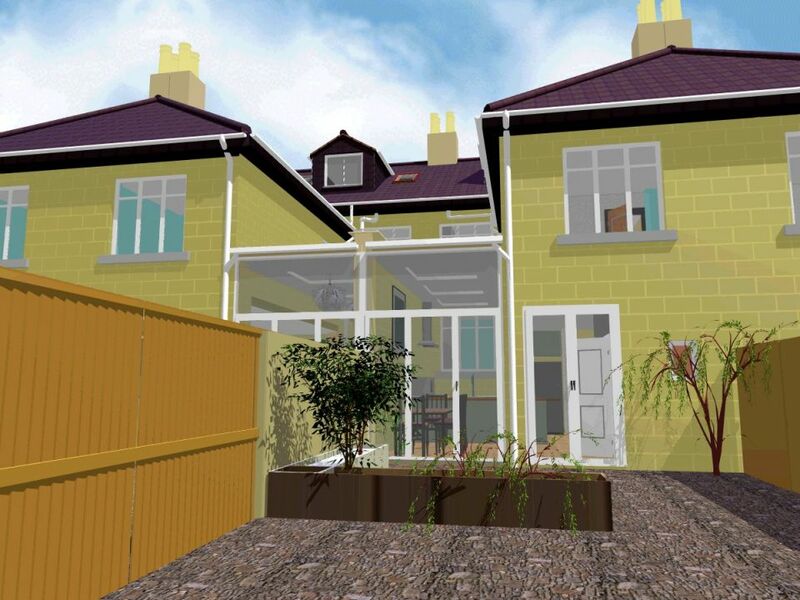 For new builds, extensions and conversions, a 3D perspective view is much easier to work with. If you want to consider options, we produce alternative designs for you to compare side by side before choosing the best. 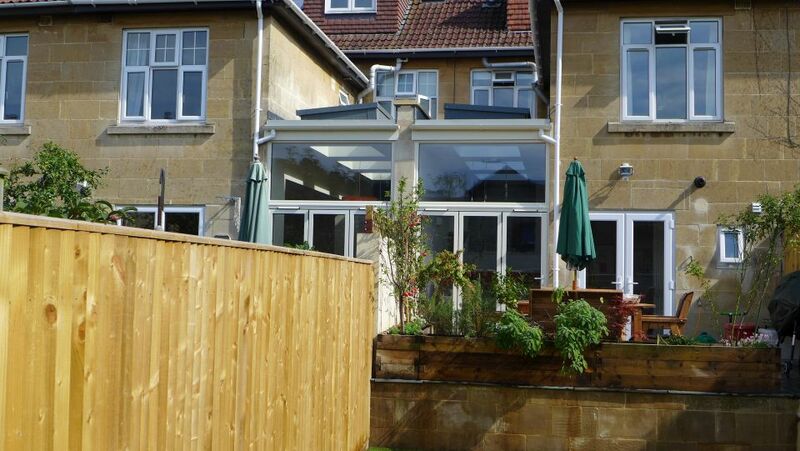 If you engage our complete home design service and live near Bath, we will produce the model on a laptop for review. If you are remote from Bath, we will send as many views as you need by email. Many of our clients struggle to visualise their new space, but are then enthused when they see the home of their dreams come to life in 3D. We produce 3D models quickly and cheaply. Once the base design is on the computer, it only takes a few mouse clicks to move a wall, resize a window or reposition furniture. You can then evaluate the impact of proposed changes easily. 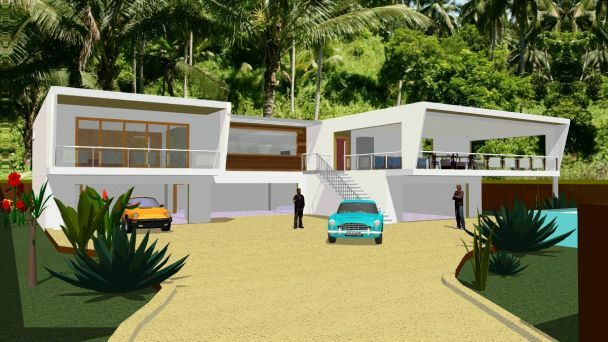 This “rapid prototyping” allows you to converge quickly on the preferred home design. 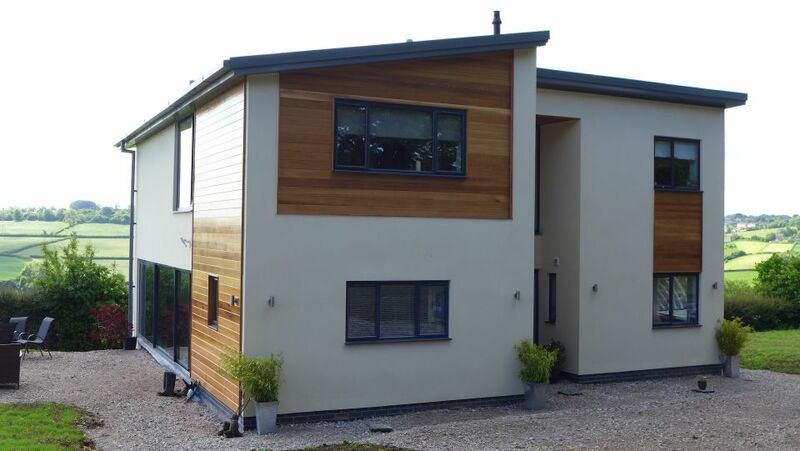 For the project below, we produced 8 different schemes (inside and out) for the clients to compare and contrast before they settled on their favoured option. … and one of the kitchen-diners. On a laptop we can walk you through the proposed, furnished building, viewing individual floors and zooming in on specific rooms. We produce visuals at whatever level and whatever angle is required. We can even produce a dolls house view by slicing through the model. 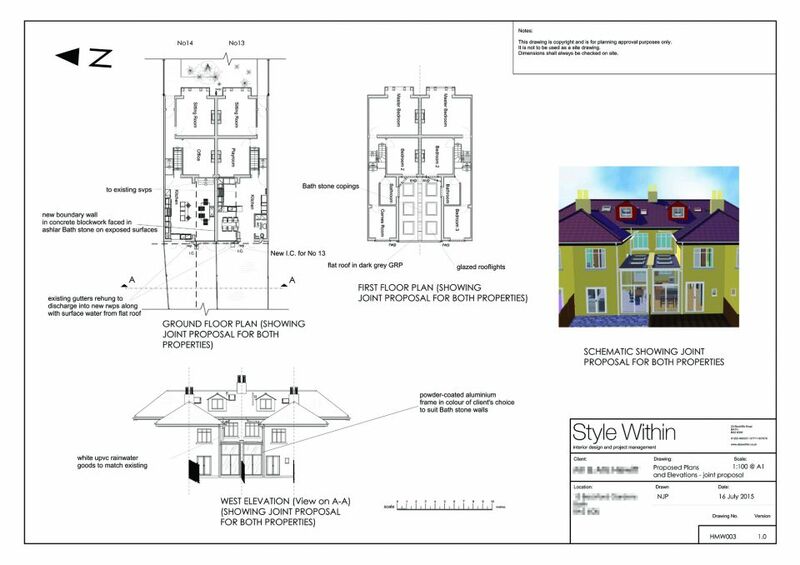 Plan and elevation views are still required for formal planning and building control. 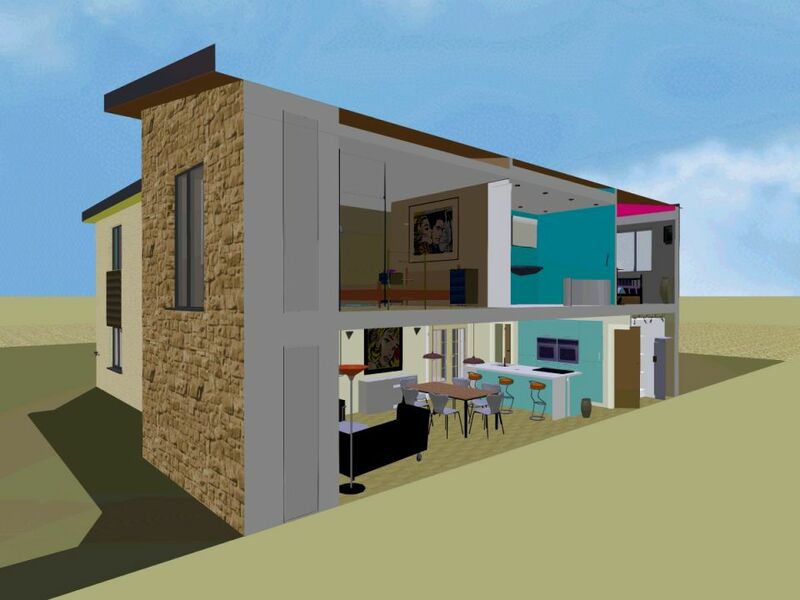 Our single model generates 2D and 3D views of the same project. 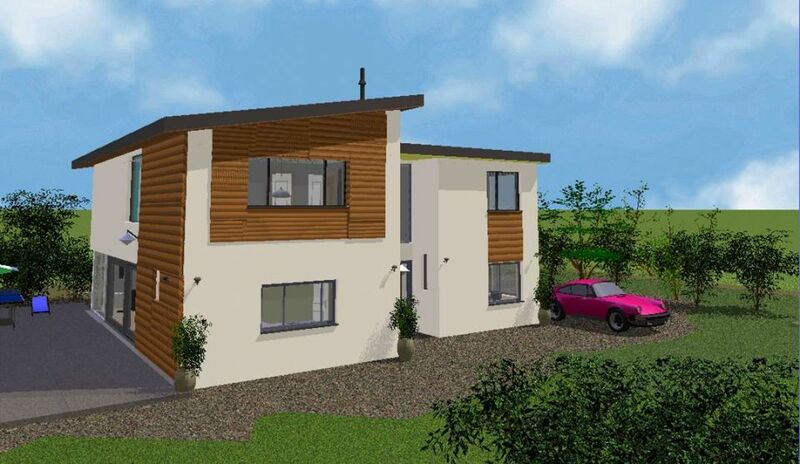 If your architect only produces a 2D drawing, ask if they can offer additional 3D images. If they don’t have the capability, send the drawings to us and we will produce the 3D version for you. Our fees are described further below. If your architect only works with 2D plans and elevations, make sure you include details such as your specific furniture. If you have a treasured dining table, feature sideboard or sofa, these should be designed into the scheme. We visited a home recently where the architect included a table and chairs which bore no resemblance to the client’s actual furniture. This resulted in a poor fit and awkward movement around the space. Similarly, an architect will usually produce a plan view that includes a notional kitchen in the new space but not the actual kitchen that you want. So how would you know that the space meets your needs? Is the hob in the right place? Is the sink convenient? 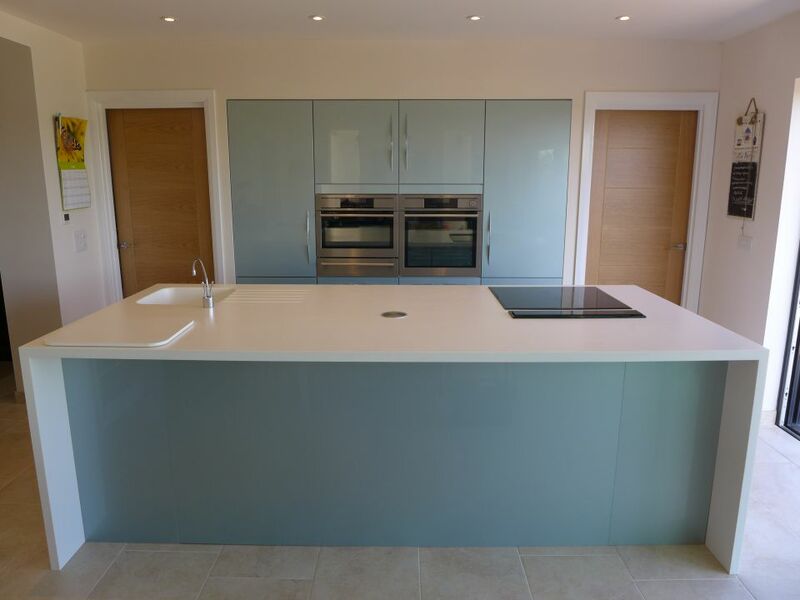 Our approach is to design the complete kitchen, to make sure that the key elements and overall layout work as you want it. You don’t need to go to the expense of rendered, photorealistic images. High end visuals are staged for a limited number of views, and are for very high value projects which justify the price. You may come across what looks like a fantastic photograph of a building that is actually a computer generated image. However, that image will have taken a graphic designer several days using high specification software and photo-editing facilities to create just one or two views. By contrast, our model generates visuals to be used as working documents to help everyone communicate clearly. The images are a sufficiently close representation of reality and still look good at a fraction of the time and price. The model is easy to modify for assessing options, and you can have as many views as you like. We focus on practical and essential details, with only a few embellishments to set the scene. 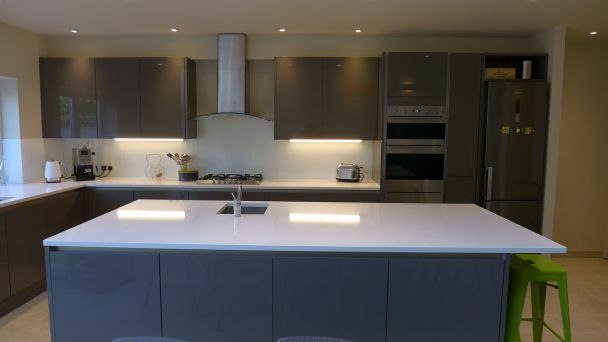 Here is an example of one of our close up visuals followed by a photograph of the kitchen when installed. You can see that the resemblance was close enough for practical purposes, including the gloss reflection that we applied to the units. 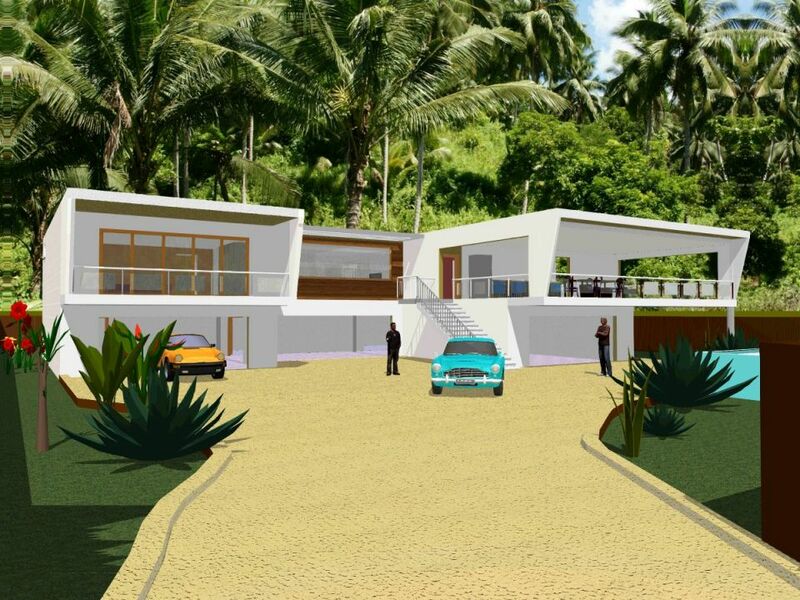 It is important for everyone to see what the finished home design will look like from the start. For architects, it helps them to explain features to their clients. For contractors, it adds to their sense of purpose and pride in the job. For clients themselves, it helps them to visualise what they can expect as the finished product. In the image below, our client had some notion of extending an existing building with some sort of glass structure; but he wasn’t sure what it could look like or where the stairs would need to be. His new home had no view across to the beautiful hills; we proposed a glazed extension to give him that view, with an open plan kitchen diner living space. We mocked up this visual quickly just from the estate agent’s basic floorplan and a few photos to enthuse him to proceed. When walking around our building sites we see prints of our 3D visuals stuck on walls alongside formal construction drawings. It clearly helps the trades to see what’s going on. They can’t all interpret technical drawings readily. An electrician is employed to fit the electrics, but when he or she sees how the whole scheme will look, it helps to explain why sockets and switches are fitted in the places specified. Without question, the 3D picture is a more natural medium with which to communicate. 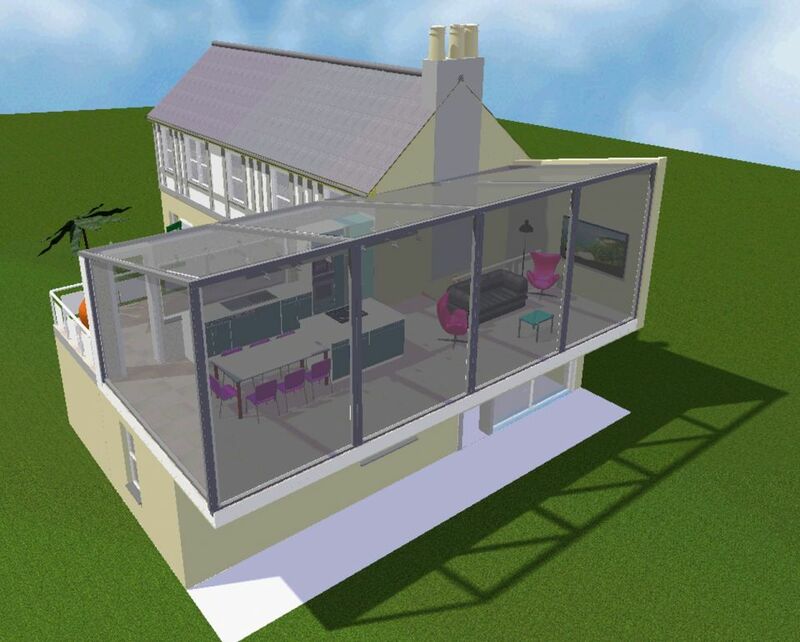 3D modelling is so important that it is embedded in our standard home design processes. 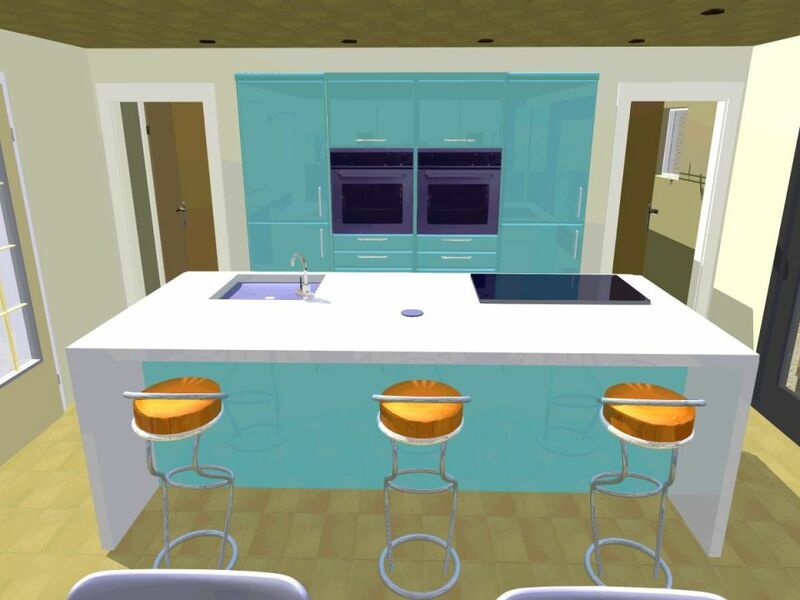 You would receive 3D visuals as standard if you engage our full interior design service. Should you only require 3D images to help you visualise your new home, you can send us your fully dimensioned sketches or architect’s drawings. We will then produce a single model from £250+VAT. As a guide, this base price would deliver a selection of exterior 3D visuals of your choice for one design of a property. Reasonable changes to the basic exterior design would be included in this price. We would also insert representations of furniture to your specified sizes. As mentioned earlier, if you are remote from Bath, we do everything by email, including mark-ups and amendments. We produce detailed interior floorplans with electrical overlays (see further below) and export the 3D models as plans and elevations if required. The price for this additional work would depend on the scope of the task. Taking the model a step further, we also overlay a simple electrical design on the plan view. 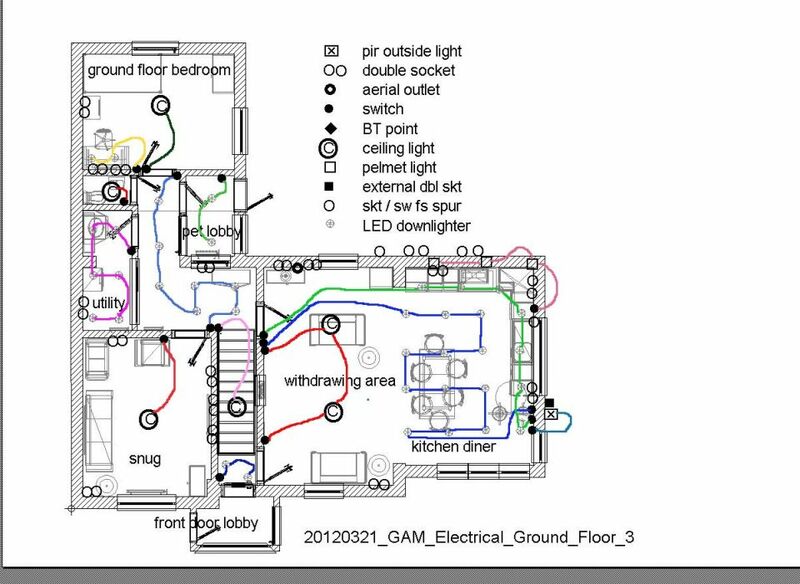 Indeed, when planning your room layout, it is imperative to identify locations for sockets, lights, lamps, switches, telephone, aerials, home network, audio visual systems and so on. We design these elements concurrently, and apply a similar approach to plumbing and heating locations. We do all this before your commitment to the final design. I hope you have been persuaded of the power of 3D visuals in helping you to make decisions and plan for a successful home design. If you’d like to read more about home design in general, please see our home renovation advice article. You can also read our guidance on property renovation costs. If you are considering home design in Bath or Bristol and think you may need some help, please get in touch. Best wishes for a successful build.